Coffee drinkers can once again breathe a sigh of relief. A French study, just published in the American Journal of Clinical Nutrition has found that people who drink three or more cups of coffee per day on a regular basis, had a 27% reduced risk of developing diabetes over a 14 year period. The study was done with 69,532 women and it showed the beneficial effect was most pronounced if the caffeine was consumed at lunchtime. The findings were similar whether the coffee was caffeinated or decaffeinated. 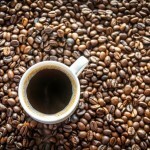 The cause of the effect was uncertain, but the researchers suggest that it may relate to the antioxidant effect of coffee that may lead to an improvement in insulin sensitivity.